We have an impressive lineup of contributing authors for Christian Unschooling! We have everything from parents who have teens who have always been unschooled, to parents who have been unschooling for only a year. We have adoptive parents and parents of children with special needs; we have nomadic world travelers and homebodies; we have authors with blogs followed by thousands and some relatively new to blogging. In addition, we will be soliciting guest posts from our own unschooled teens, so you’ll get to read things from their perspective as well. We think we have established a core of Christian unschooling bloggers who will bring some much-needed clarity and focus to this often-misunderstood topic! Aadel has been married to her career Army man for eleven years and they have two daughters and a freshly made son. 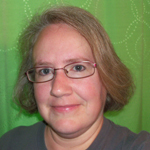 She writes about unschooling, theology, quilting, and more at her blog These Temporary Tents. You can also find her writing about education and wholesome living at Natural Family Today. Anita is a wife, a momma to five (plus one on the way), a crafting artist, and an unschooling advocate for special needs kids. They live life as it comes in a small home in Southern California where they live as joyfully as they can. The days are filled with music, art gardening, style and sometimes tears. She blogs at Oh, What a Spectacle. Carma is the mother of four children, always unschooled. Besides blogging, she doesn’t have enough time for reading, scrapping, reading, knitting, writing, and reading. In addition to reading (did she mention she enjoys reading? ), she enjoys writing about herself in the third person and designing funny homeschool t-shirts. 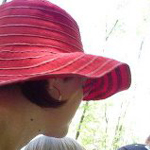 She blogs about life, liberty, and the pursuit of learning at Winging It. Danielle has been married to her college sweetheart for fifteen years. She’s been homeschooling their twelve-year-old son for six years. Her family’s unschooling life includes lots of books, laughter, theater, discussions, neuroses, learning differences, and making it up as they go along. She blogs at Yeah, I said it. 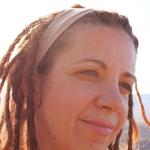 Dawn is an unschooling mom to two boys, trying to live simply, in the moment, going with the flow. She counts her blessings and tries to look for the positive. She has a personal relationship with God but is not into the sibling rivalry thing; we’re all on our own journeys. She eats too much granola and if she can’t be barefoot, she’ll wear her Birkies. She can also pinch a penny until it screams, brew a perfect cup of tea, and lose track of time when in the woods or a used bookstore. She writes her words on the face of today on her blog, An Autodidact In A Sleepyhouse. Dawn is a crusader and an idealist champion — a woman of many causes and concerns. Crunchy, hippie, bohemian, and “a little different” are all ways she has been described. She spends her days caring for a husband who is a baker and drummer and for two small children who are her joys and loves. She is into real, traditional foods, baking, all natural stuff, and entrepreneurship among other things, and blogs about them all at Cultured Mama. 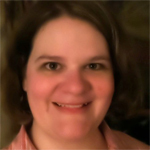 Heather is a former teacher turned Christian unschooling mom, an artist, and a geek wife of a work-at-home geek with three geeklings. Their lives are full of gaming, reading, writing, baking, and making lots of messes. 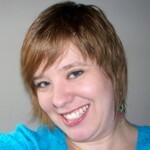 She blogs about daily life at An Untraditional Home and shares her creative endeavors at Elasah.com. 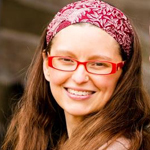 Jennifer is a full-time unschooling mom, a yoga teacher, and a part-time writer. 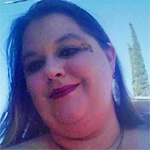 She lives in Phoenix with her husband, four kids, and an ever-growing variety of winged, scaled, and furry pets. She loves exploring in the desert, baking cupcakes, and a really good cup of coffee. She blogs (semi) regularly at The Path Less Taken. 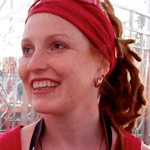 Jessica is the mother of four children, whom she has been unschooling for a couple of years now. She loves reading, writing, theology, and (hula) hooping. Find her blogging about their nomadic lifestyle at Bohemian Bowmans. Joan, her husband, Chris, and their 12-year-old daughter, Sarah, jumped straight from public school to pretty radical unschooling in one week on Feb. 29, 2012, and haven’t looked back since. They say the coolest thing about their untraditional approach is being able to start random science experiments at midnight. Follow their journey at Our School at Home. 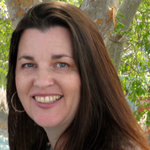 Karen lives with her husband and four kids, who have been unschooling since 2005. 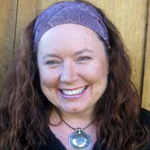 Karen is passionate about God, family life, community, social justice, the environment, and holistic health. She loves to question the status quo of just about everything, posting her musings and some of their unschooling adventures at A Radical Path. Lauren is a mother to five crazy-fun children who were conveniently born in alphabetical order. She is a full-time traveler in Australia and New Zealand with desires to visit other countries too. They are radical in their pursuit of God and this has overflowed to every aspect of their lives — parenting, finances, plans, and desires. Lauren chronicles her days and learning experiences at Sparkling Adventures. Mandy is an unschooling, extending breastfeeding, homebirthing, placenta-eating, gentle parenting mama of three, daily searching for new ways to add authenticity to her life. She loves new friends, discussion, and fellowship in her little corner of the internets at A Bona Fide Life. Mari is a mother of two daughters. She’s been a housewife and mother for fifteen years. This is their first year unschooling together. She’s on a constant journey to “be a better me” and hopefully a better mother, wife, and homemaker along the way. She blogs at Nothing in Particular. Vanessa and her husband Adam live in Nebraska and unschool their three young boys (with another baby on the way). Vanessa is also the founder of Natural Family Today, the online magazine for natural-minded families. Erica grew up unschooled and became a Christian philosophy geek, mathophile and serious science nerd. 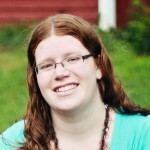 She blogs about fulfilled, multi-dimensional womanhood, human relationships, and theology at The Maine Story.